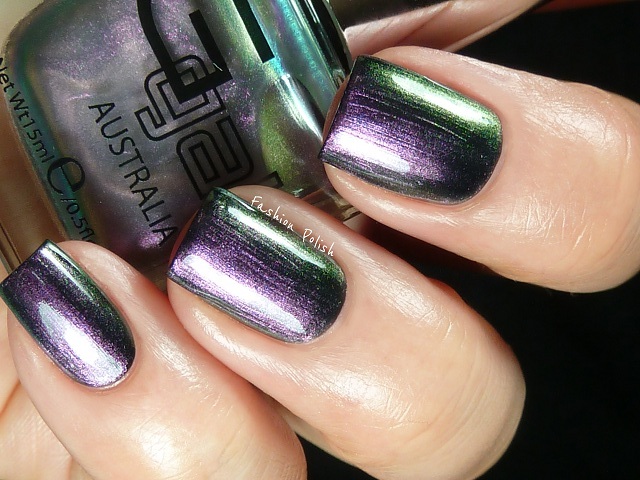 Contorted Mauve is a smokey purple to green color changing shimmer. Very sheer on its own, full opacity cannot be reached but once applied over an opaque base, it will reveal all its spectrum. Formula was very easy to work with and brushstroke free. I used one coat here, over black. I can't seem to resist duochromes and obviously Contorted Mauve's strong color shifting is no exception. I love how dark and mysterious is looks! This is beautiful! Love the color shifting! @Glitter Gal *blushing* thank you girls! Great review the nail polish is very pretty. this is stunning! I'm amazed with this color! Nice color! I love everything green-ish. Wondering what this one would look like over some more non traditional 'underwear?' Black is good for photos of course - but I am thinking what about a light purple cream? A shade of light pink cream, light blue cream, an off white? 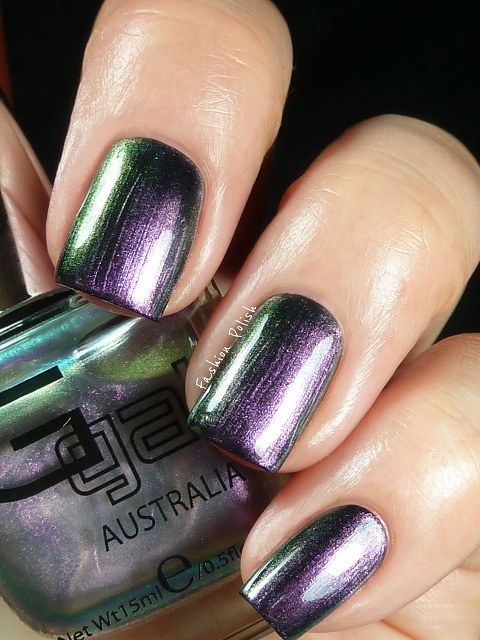 And yes, I hear the commenter Lusty For Lacquer's comment on the price point for GG. I only own 4 of them and tiny bottles before they started to come in 2 size bottles. I like the ones I have but they are not my favs. Very cool. Your photos capture it perfectly.